He is Director in the Regional Centre for Urban and Environmental Studies (RCUES), Lucknow (Established by Ministry of Housing and Urban Affairs, Government of India) ) since 2005. He has varied administrative and academic experience of more than 26 years. He has made a remarkable contribution in developing Regional Centre for Urban and Environmental Studies (RCUES), Lucknow as Centre of Excellence. He has held several senior-level administrative and academic positions. He held the post of Vice Chancellor of Dr Shakuntala Mishra National Rehabilitation University, Government of Uttar Pradesh, Lucknow for 5 years (January 2014 to January 2019). He was Professor and H.O.D- Ancient Indian History & Archaeology, University of Lucknow, (June 2011 to January 2014). He was Director, Institute of Development Studies, University of Lucknow (June 2011 to December 2013). 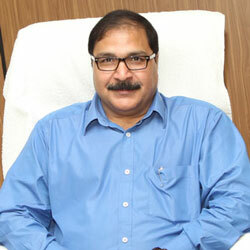 He held the post of Director, Institute of Tourism Studies, University of Lucknow, (June 1997 to January 2005). He was Professor, Dept. of Ancient Indian History& Archaeology, University of Lucknow; He was Member, Executive Council, Aligarh Muslim University. (Nominated by Chief Rector/Governor U.P. ), (November 2000-Nov. 2006, Member, Executive Council, University of Lucknow, nominated by Chancellor/Governor, U.P.-2005-07). He also held the post of Member, Pondicherry University, nominated by Visitor/President of India), (2004-2007), Member, Bhav Nagar University, Bhav Nagar, Gujarat, nominated by Visitor/Governor of Gujarat ( 2005 -2010), Member, Asia-Pacific Education Institutes in Tourism (APETIT), United Nations Economic and Social Commission for Asia and the Pacific(ESCAP), Member, Governing Board, Institute of Tourism Studies, M.G. Kashi Vidyapeeth,Varanasi and Member, Governing Board, Institute of Management Sciences, University of Lucknow. He also served as Assistant Proctor, University of Lucknow, Lucknow (October 1993 to January, 1998), Assistant Provost, Lal Bahadur Shastri Hall, University of Lucknow,Lucknow (November 1991 to February 1993), Assistant Director, Post Graduate Admission Test University of Lucknow, Lucknow, (1994-1995)., Assistant Proctor, Sampoornan and University,Varanasi, (Session 1990-1991). During his vast career, he has achieved several awards and distinctions. He was Conferred National Award for contribution towards Empowerment of Persons with Disabilities by the Hon’ble President of India in 2014. He won the Youth Hostel Ratna Award by Youth Hostel Association of India (YHAI). His Biography published along with those of other eminent personalities in Asian/American who’s who, vol. III, published by Rifacimento International, p.437. He was given the Bharat Excellence Award and Gold medal by Friendship Forum of India, New Delhi. He won the Sarvapalli Dr Radhakrishnan Samman, an award presented by Rotary Club of Lucknow. He was also awarded the Excellent Contribution for Education Sector' award by CMAI Association of India and he was given the Poorvanchal Ratna Award, 2015 by APN National News Network. During his career, he has conducted and coordinated several research studies and published several documents. He has authored several books, research papers and several other publications of eminence.